AUSPACK will introduce Sirane Australia to a whole new audience – and the new Melbourne-based team would love to welcome you to their stand. Sirane Australia opened in the new year, in a bid to take the company’s innovative packaging solutions to new markets in Australia and the wider region. 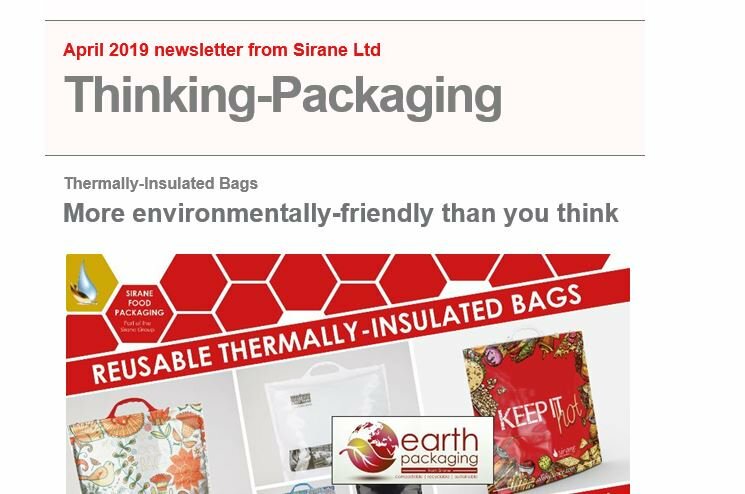 While there will be a focus on food packaging – and in particular our sustainable Earth Packaging range – Sirane Australia will have access to all Sirane products. Simon Balderson, Sirane MD, said: “I will be joining the team at Auspack – and it will be great to introduce Sirane to new audiences, although I am sure there will be some visitors to the show who will already know us very well. “We’ve been selling into the Australian market for a few years now, so Sirane Australia, and exhibiting at shows such as Auspack, was the next step. Perfect for a range of dry and moist products – including granolas, porridge oats, grains, health/diet supplements and more - the Earthpouch is a paper-based solution with a heat-sealable coating, which is preformed into a stand-up pouch. “If you’re serious about moving away from plastics, then this – and many of the other products in our Earth Packaging range – might be exactly what you’re looking for. Earthpouch is a cornerstone of the Earth Packaging range – a range of packaging solutions which are all either compostable, sustainable or 100% recyclable. Other products in the Earth Packaging range include our new paper based absorbent pads – which are both compostable & recyclable, compostable & breathable packaging films, and compostable food packaging boards. We also offer a range of horticultural solutions, including breathable and compostable flower-wrap and plastic-free compostable plant pots. Sirane also offers a wide range of other food packaging solutions – all of which are available through Sirane Australia, with information available on the stand.